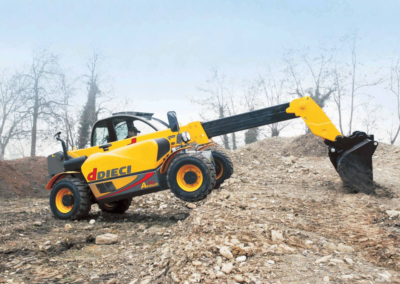 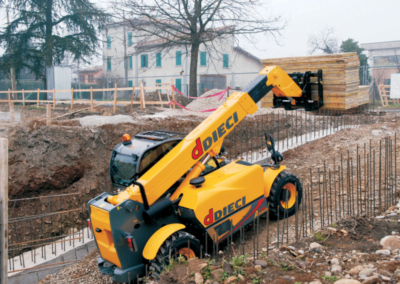 The Dieci Apollo is an extremely versatile, easy to operate and manouvre telehandler that can pick up a maximum of 2.5 Tons and has a boom reach of 3.25m. 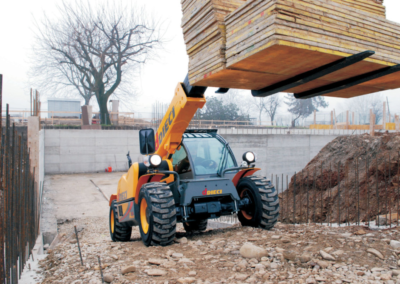 This is a hard working, reliable and indispensable telehandler for any yard that requires pallets or boxes to be moved around frequently. 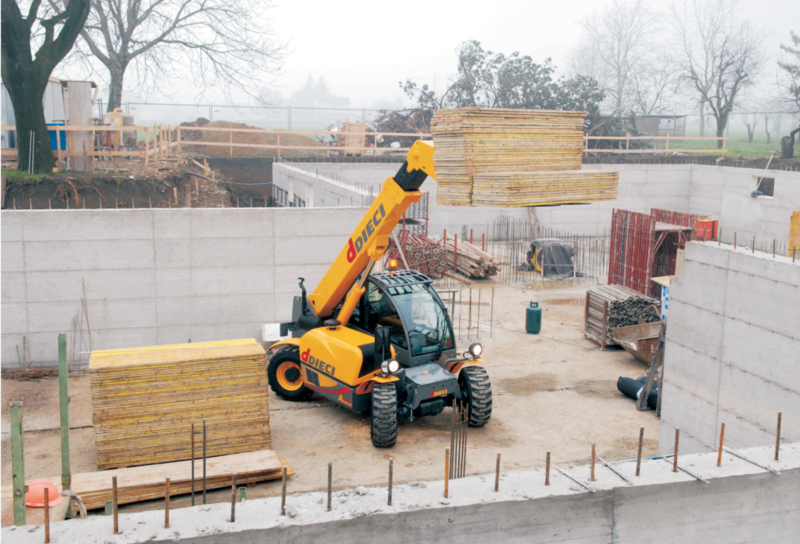 It is ideal to load trucks and in agriculture, ideal for feed distribution. 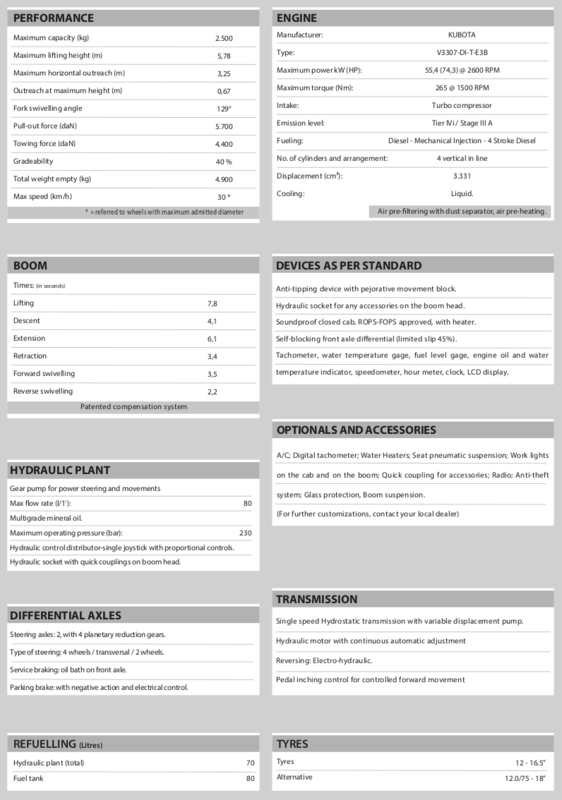 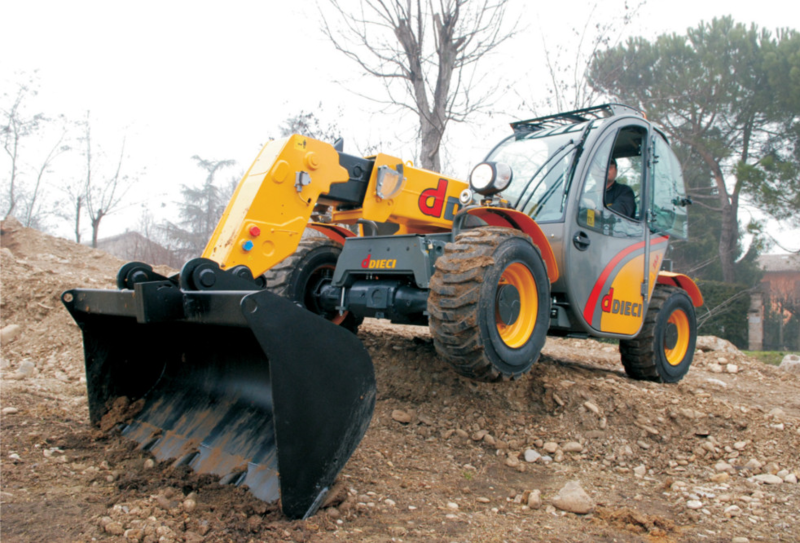 Common uses: Construction site, Nursery, Light industry and Agriculture. 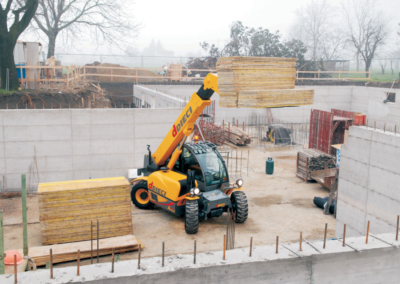 The Apollo Telehandler is a versatile, low profile, hard working Telehandler that is an asset to any yard or construction site. 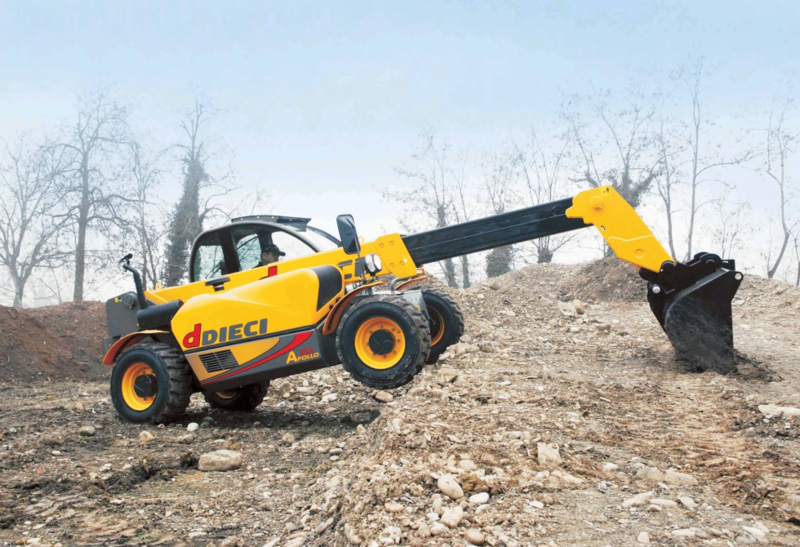 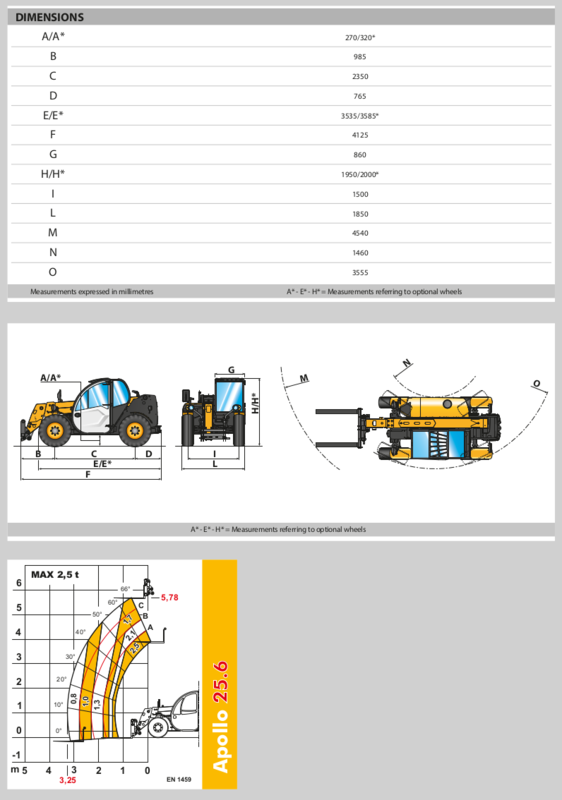 This is a hard working 4 wheel drive Telescopic handler with a diesel engine (see specs below), tight turning circle and side mount engine. 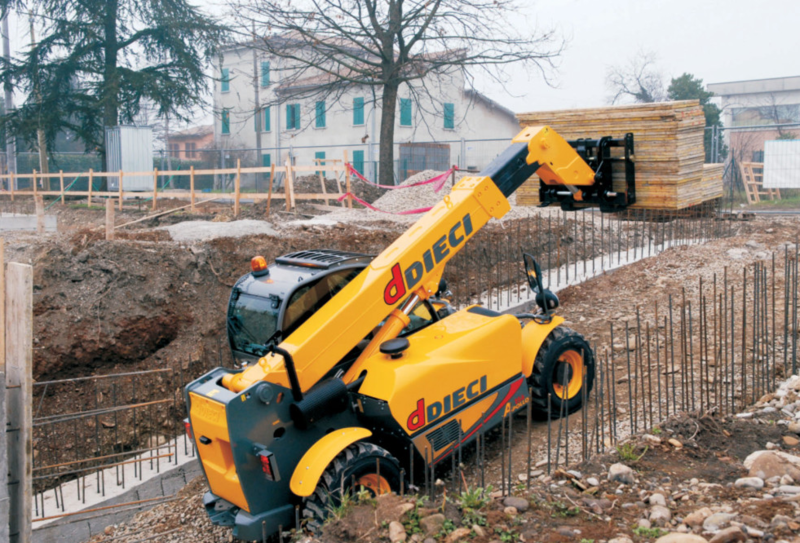 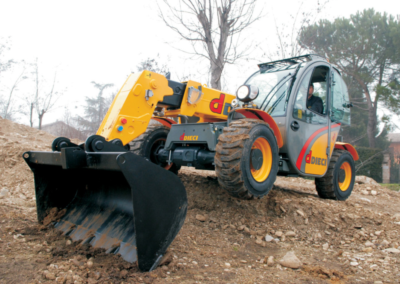 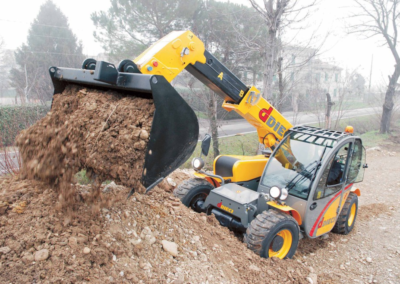 The low profile of the Dieci Apollo gives the operator a wide view and the ability to work in tight spaces. 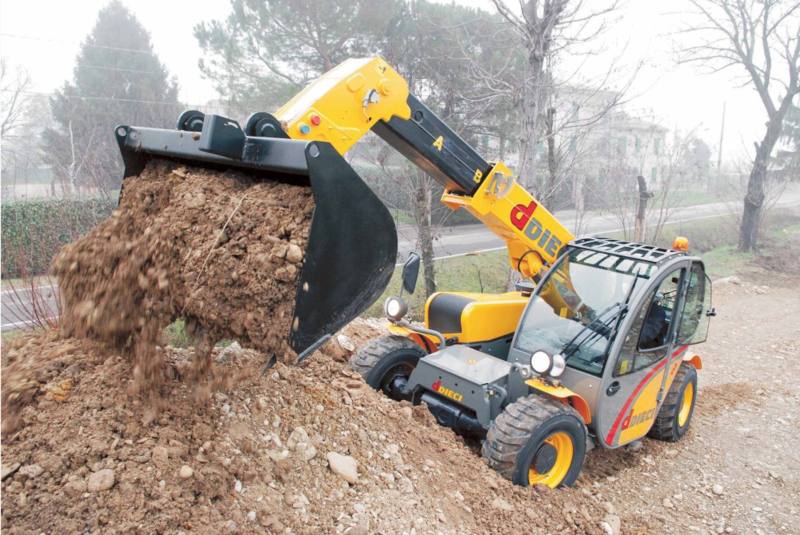 The Apollo Telescopic handler is easily maneuverable with three different steering modes, is able to lift, dump, place and reach. Get an Apollo Telescopic handler for your site or yard and maximise productivity.